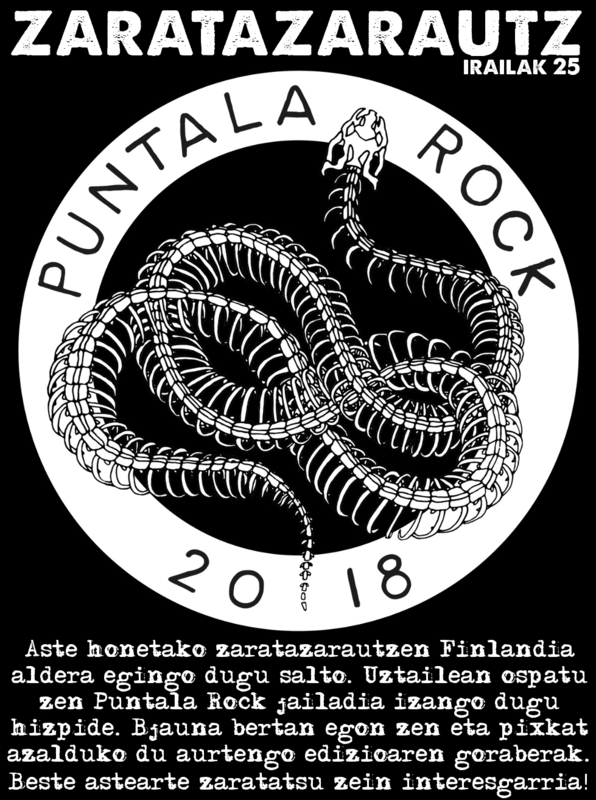 Aste honetako ZarataZarautz irratsaioan Finlandian egiten den Puntala Rock jaialdia izango dugu hizpide. B Jauna eduki genuen korrespontsal bezela 2018ko edizioan eta honi errepasoa egingo diogu ordu eta erdiz. This entry was posted on Asteartea, iraila 25th, 2018 at 6:30 am	and is filed under Berriak, Irratsaioak. You can follow any responses to this entry through the RSS 2.0 feed. You can leave a response, or trackback from your own site.